Cat litter is mainly used by cats to absorb their urine and bury their feces. It is commonly used in combination with cat litter basin, short for cat toilet. The cat may have put too little litter, or the cat does not like the litter. Or you don’t like the litter pan that the owner has chosen for him. Here’s how to use the litter pan and litter and the choice of litter. The choice of litter pan must be twice the size of the cat’s body, so that the cat has more room to defecate, and it will be easy to defecate. Cat litter box has single layer or double layer, cat owner should choose single layer or double layer according to cat litter. 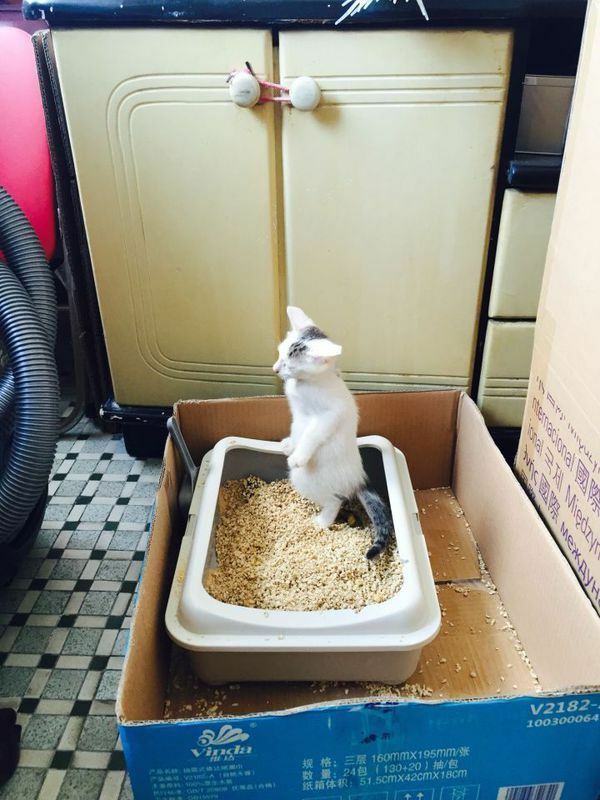 After washing and drying the litter bowl, put 5-8 cm cat litter into the litter bowl. This thickness is more suitable. Every cat will bury feces after defecating. Sometimes cats don’t like using litter because they don’t like the placement of litter POTS, so they should be given a new location. The litter pan should not be placed next to household appliances, such as TV, refrigerator, washing machine, so as not to scare the cat when using electrical appliances. The litter bowl should be placed away from cat food and the place where the cat sleeps. The position that better cat litter basin puts should be in ventilated condition is good, surroundings quiet place, be like the balcony, such convenient flavour sends out, and the cat is in quiet place easier defecate. Cats don’t go into the litter box because they don’t like it, so owners need to be careful when choosing litter. When choosing cat litter, you should choose the combination, water absorption, deodorization and other good aspects, such as tofu cat litter. Tofu cat litter is made of fresh tofu residue, and the cat should not worry too much about eating a little of the cat owner. Bean curd cat litter is ok in knot, absorb water, deodorization respect, and bean curd cat litter still has water solubility, cat owner can pour bean curd cat litter into toilet when cleaning, it is more convenient.